Yesterday saw the launch of a ground-breaking celebrity charity social media campaign, ’I’m Gonna Be Your Friend’ supported by many of the world’s most famous names in entertainment and their fans, including Beyoncé Knowles, Annie Lennox and Sting. A global audience close to 600 million Facebook and Twitter fans will be able to view a short film of the crisis in East Africa created by award-winning director Kevin MacDonald from footage of East Africa. The film is set to the 1973 Bob Marley & The Wailers song ‘High Tide or Low Tide’ and will reach over a billion people. The campaign was developed to support Save the Children's fundraising for the devastating food crisis affecting millions of children and their families across East Africa. It brings together the combined resources of Universal Music Group, iTunes, Yahoo!, Facebook, AOL, MSN, YouTube, Twitter and others to give a potential global online reach in excess of a billion people. Many of these partners are showing the film and providing global editorial coverage, which will accompany the release of the downloadable track on the day of the launch. 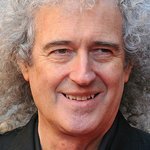 From today, many icons, celebrities and artists across the world including Lady Gaga, Justin Bieber, Eminem, Rihanna, Britney Spears, David Beckham, U2, Kanye West, Madonna, Jennifer Lopez, Muhammad Ali, Muse, Coldplay, Elton John, Lewis Hamilton, Bruno Mars, Robert Plant, Cristiano Ronaldo, Brian May and many others are launching the campaign via their huge networks of friends and fans on Facebook and Twitter (#beafriend). With over 50 global stars already signed up and more joining by the hour, the combined total of their fans and followers on the social networks is almost 600 hundred million people. This huge number will not only help raise awareness of the scale of the crisis but also vital funds for those suffering in the region. The food crisis in Somalia and across East Africa is the worst in decades. Ten million people are affected — many have no food, no water and have lost all their livestock. One million children in Somalia alone face starvation if help is not delivered now. Save the Children and other aid agencies have launched a huge emergency response across the region and are on the ground delivering life-saving aid. Helping raise funds for food, water and medicine for those in East Africa, the song and film can be downloaded through ITunes or via Bob Marley’s Facebook page for 99p/$1.29. The Facebook page will also feature click-through links for direct donations to Save the Children’s East Africa fundraising appeal. The single, ‘High Tide or Low Tide’ was specially chosen by the Marley family for the resonance of the single’s lyrics, “I’m Gonna Be Your Friend”, which form the title of the campaign and a message to be shared by friends across their social networks.